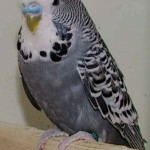 Carl Slavin - Budgerigarworld.com - The international website for the hobby worldwide. A website all about Budgerigars. All Entries Tagged With: "Carl Slavin"
Simply stated it is basically a color enhancer.